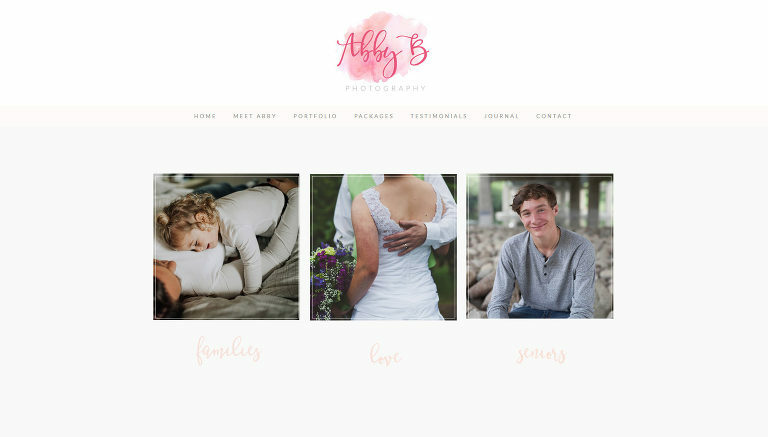 Custom Pro Photo Design for Abby B Photography | Jessie Mary & Co. I just adored working with Abby. When we first spoke she told me her goal in her photography business is to create a fun enjoyable session experience for each of her clients. I love this! I really dig her approach and philosophy as a photographer. We did a logo, branding, and full custom design using Pro Photo 6. 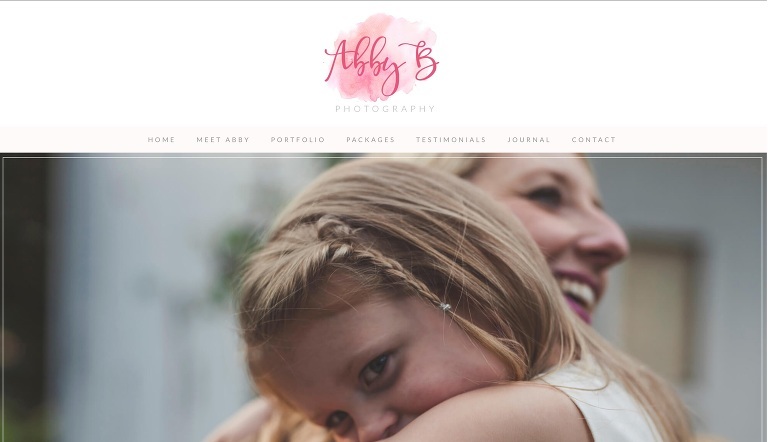 Check out some of the screenshots below and head over to see her full site at abbybphotography.com. 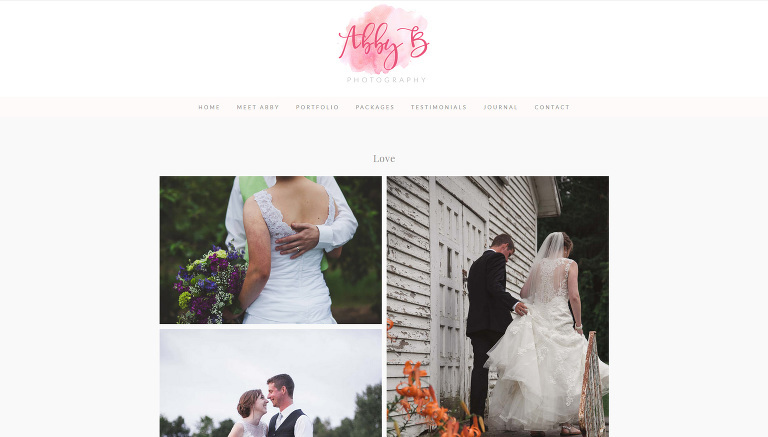 Abby’s galleries have quick links and a feminine touch with script titles. 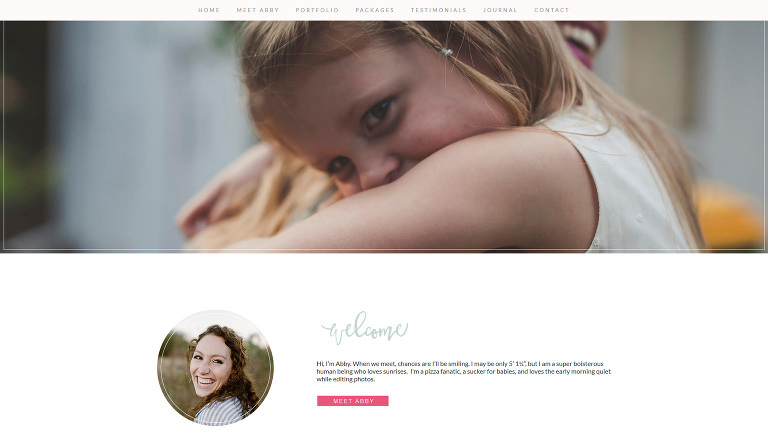 We kept to delicate colors for the main parts of the site but added pops of bright, including her pink on pink logo. We incorporated a long home page with a scroll down to give a flowing feel to the site. The menu bar sticks to the top of the screen so viewers can easily find what they needed, wherever they are on the site. Below is her masonry style portfolio, for quick viewing of images. They can be clicked to see in a larger view or scrolled to get it all in at once. This brings us to our Meet Abby page. Abby worked really hard on creating the content for this page. I love how bold and fun it turned out! As always, the site is completely mobile responsive and great for SEO. To see it all, check out abbybphotography.com. Looking to book your own site revamp? Send me a note. 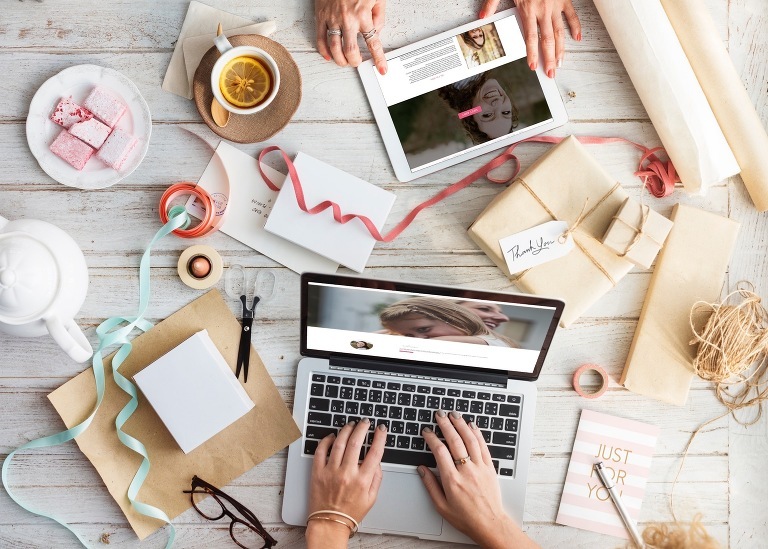 « What does GDPR mean for your photography website?